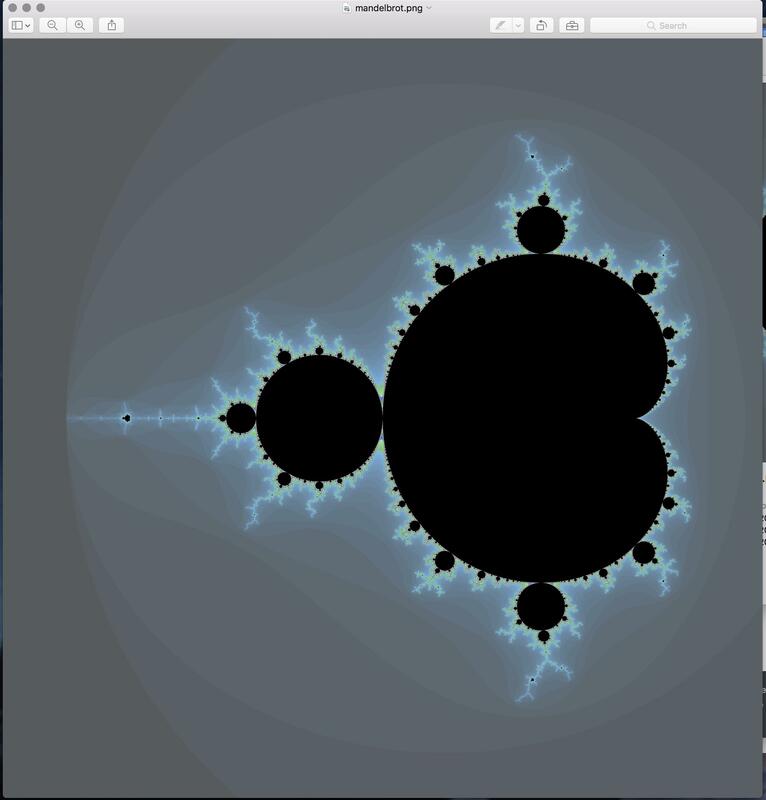 I made a 32768 × 32768 pixel Mandelbrot png, because it's a fun thing to do. It renders fine in preview, until I attempt to zoom in (which is the whole point of making the image as big as I made it). When I do attempt to zoom in, it starts to grey out the rest of the image, and if I zoom out again, the rest of the image grays out. It doesn't ever load. Is there a recommended way that I could render this large image? I would try to open the image in a brand new user account, you can set that up in System Preferences > Users & Groups or just use the Guest account. If you see different results here it must be something in your profile interfering with Preview. But I'm betting the preview developers didn't account much for people opening 49MB, 32kx32k images. In the likely chance that this is a genuine glitch you could quickly report it at https://www.apple.com/feedback/ or sign up for a developer account & do a full bug report over at https://developer.apple.com/bug-reporting/. In the short term I would recommend trying to use a different application to view this. A browser or photo editing application might be a good fit. For an image like this there is also a good chance that JPEG would more efficiently compress it & cause less issues, maybe look into converting it with Photoshop or similar. I downloaded the file and was able to reproduce the issue you describe, as others have mentioned you should report this to Apple as a bug. However in the interim there is a nice little utility called Xee it still takes a lot of time to render but it works eventually, the app is £3.99 for the full version but there is a time limited trial on the website. Within Xee, I set View > Scaling Quality to Low to improve loading times. Not enough power; suppose so. I think your problem can not be solved. Not the answer you're looking for? Browse other questions tagged sierra preview graphics . Why can't Preview export some TIFFs to PNG? How to highlight text in Preview properly? script to preview two .png s side by side? Is it possible to make the Finder render thumbnails for images that have a custom extension? 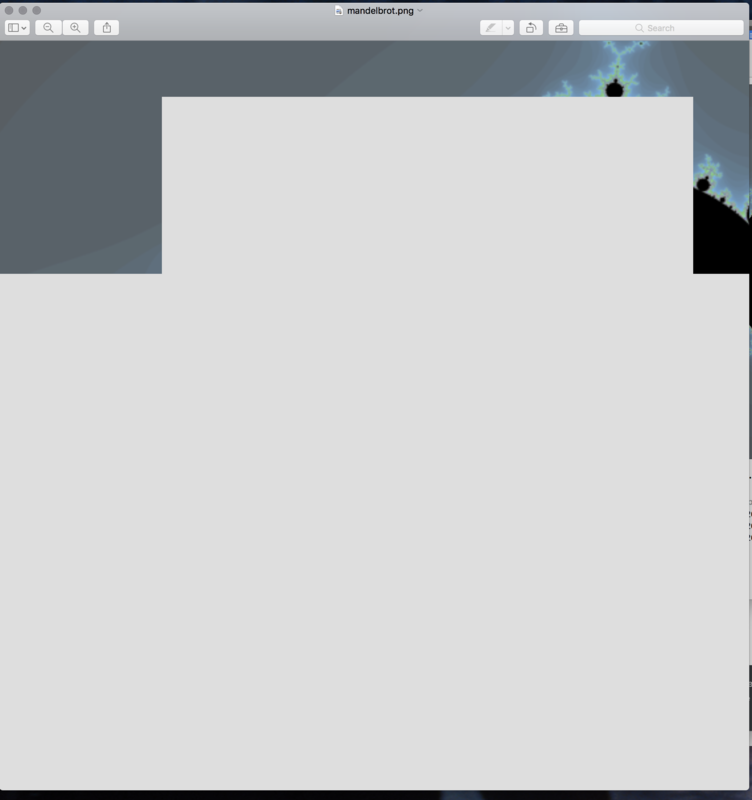 Why does the contrast change when you zoom out of an image on Preview on mac?